Upstate Medical University Ophthalmology department is a multifaceted organization which draws on the expertise and dedication of dozens of leading physicians and research scientists to provide medicine with advances in research, innovation in patient care, and quality instruction in the practice of ophthalmology. 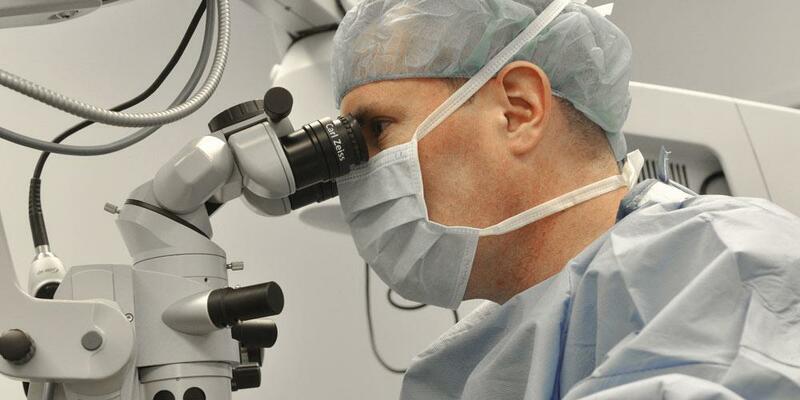 Providing eye care services through University Center for Vision Care, the Ophthalmology Department includes experienced practitioners who serve as faculty at Upstate Medical University, helping educate the next generation of eye-care professionals. Ophthalmology researchers at Upstate Medical University are investigating treatments for trauma and diseases of the eye to preserve vision and improve patient experience. Researchers work at the macro and microscopic level to address conditions affecting the eye, including retinitis pigmentosa, diabetic retinopathy, macular degeneration and traumatic injury. Last Modified: November 27, 2018. Contact Carol Miller with questions about the content of this page.